If you have experienced a major data loss issue on your Windows machine recently, you know how frustrating it can be. Regardless of whether the scenarios were accidental or intentional, your crucial data is no more with you. In such a situation you really want your deleted data files back, and we have several solutions to help recover your Windows System data. How do Windows files get deleted? Accidental or intentional file deletion is a common issue with all of us. 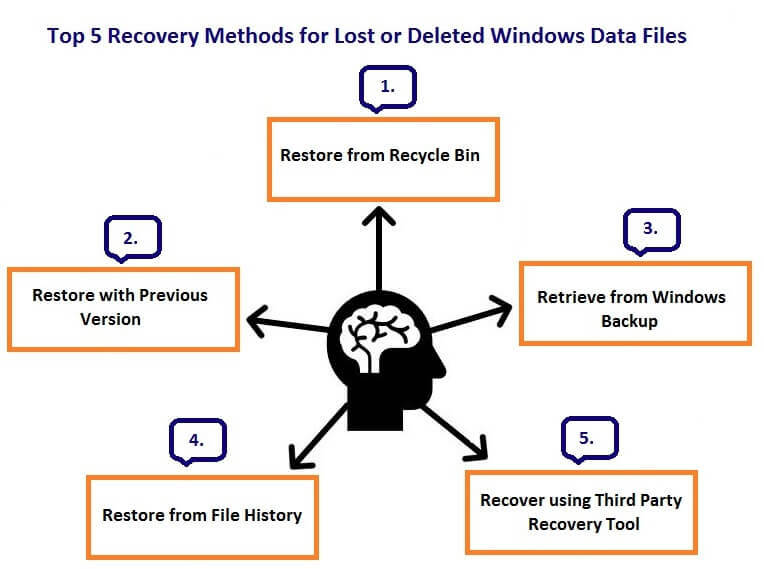 Let’s know the common causes of Windows data loss and file deletion. System format without any recent backup. Emptying Recycle Bin without checking the files. Due to bad sectors on the hard drive. Deletion of files due to external issues like virus infections, malware attack, etc. Formatting of external hard drives that contains all your backup copies. Hard drive errors and crashes. Permanent deletion of files due to the pressing of combinational keys like Shift + Del. Deletion of files during the copy & paste process. In most cases, files are recoverable. Hence there is no need to create havoc when you face data loss problems. You can undelete the Windows files easily and recover the data with 100% accuracy using different recovery methods. If you have lost something very important, then we recommend you recover it immediately, as the files that got deleted by mistake are prone to get overwritten as the time passes. Always check recycle bin when you recognize that some of your important files or folders are missing from the location where you saved them. Method 2: Retrieve files using Windows Backup and Restore. Those who perform Windows Backups on a regular basis can restore all the Windows data without taking much time. Open Control Panel >> System and Maintenance >> Backup and Restore. 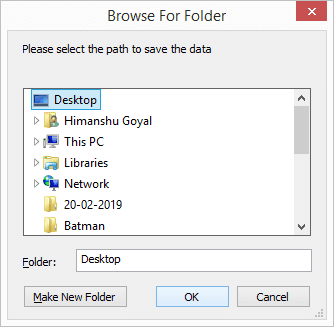 File history backs up versions of all types of files on your Windows System, if you have turned this feature ON. So, you can restore files from the file history when there is a requirement. Search for Restore your files with file history. Find the files you want to recover. You can easily retrieve files from the Windows Previous Versions that are created as a part of a restore point. 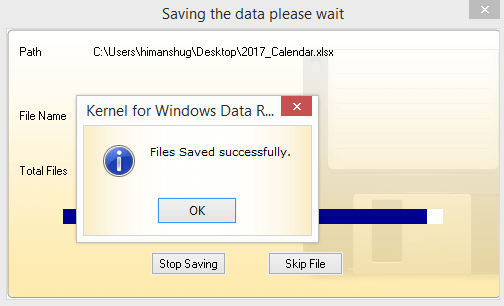 Open the folder that contained files before they got deleted. Right-click and click Restore previous versions >> select the version >> click Restore. Manual methods tend to fail many times. 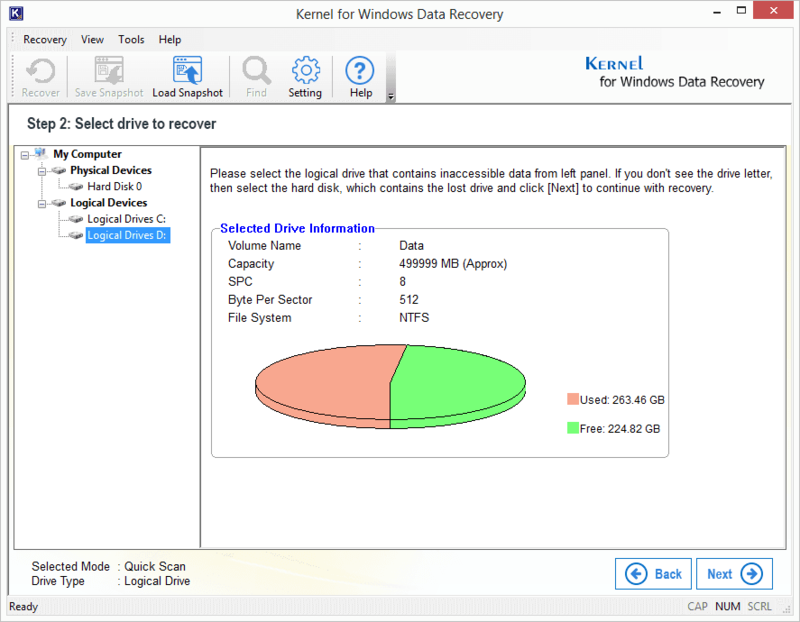 So, an automated data recovery tool is your one-stop solution to recover data that got lost from Windows hard disks. 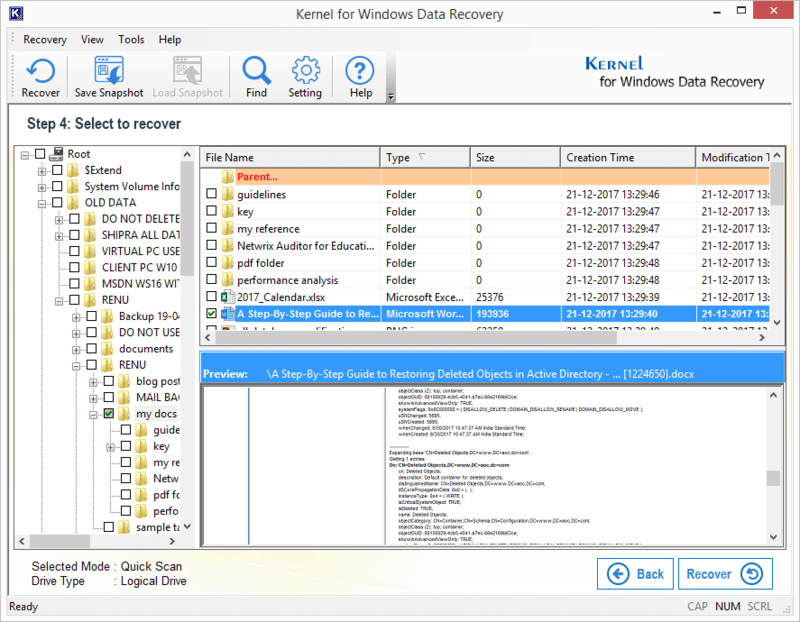 We recommended going for Kernel for Windows Data Recovery software. You can easily preview all the recovered files and folders before saving them. 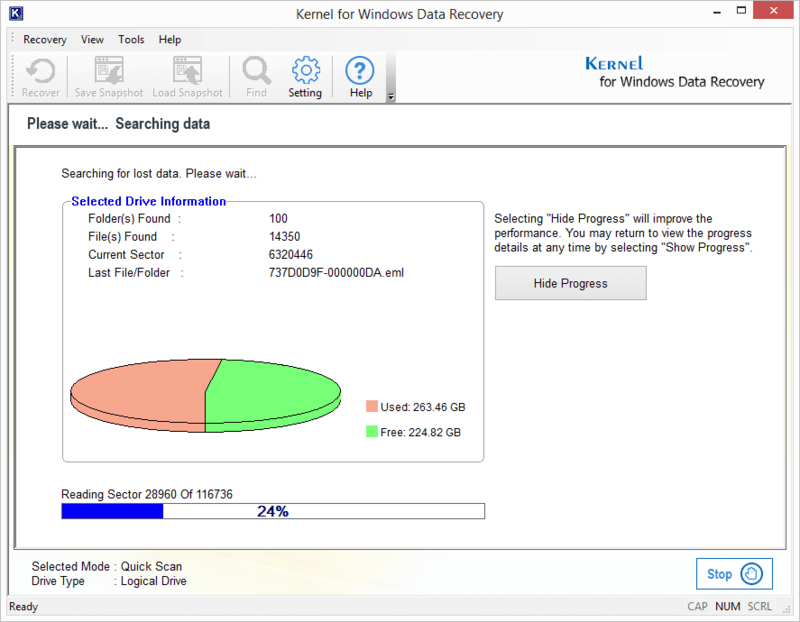 This Windows Data Recovery tool is built with easy to use GUI, and hence is a perfect solution for all the naive users. Now, let’s move to its working process to know this tool a bit better. 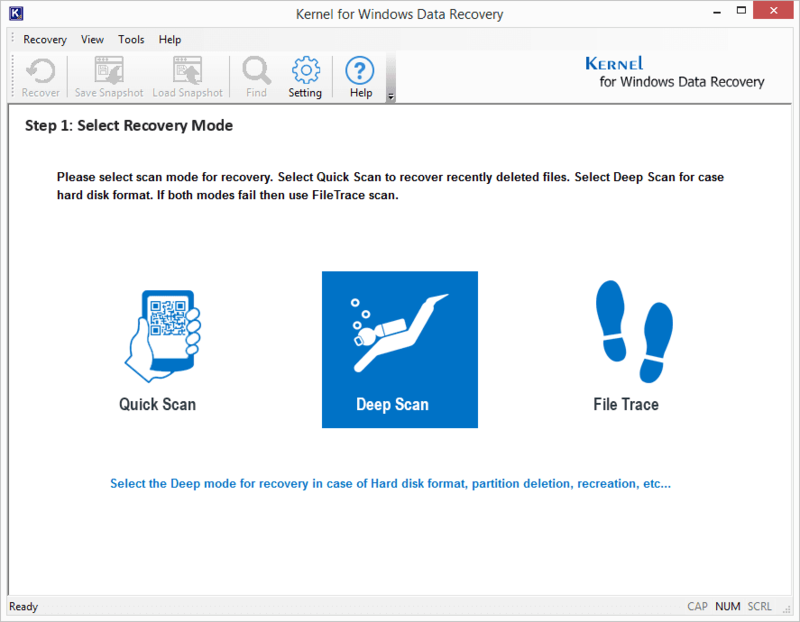 Launch Kernel for Windows Data Recovery on your system and select the specific scanning mode. Now, choose the disk from which you want to recover corrupt data. Note: You can choose the entire hard disk if you don’t know the location of corrupt data. The tool will start scanning the disk or hard drive; you can see the scanning process of the disk. Once the scanning is complete, the tool will display all the recovered data on the screen. You can select any data to preview its content. After viewing the content, select the specific data that you want to retrieve and click Recover. Choose a location to save the recovered corrupt data and click OK. The software will save the file on the desired location, and a notification will appear on the screen displaying the same. Click Ok to end the process.